One of the earliest issues of indoor plumbing was keeping waste water from contaminating our drinking water. To remedy this problem, backflow prevention devices were developed and installed on all major water mains entering a building. 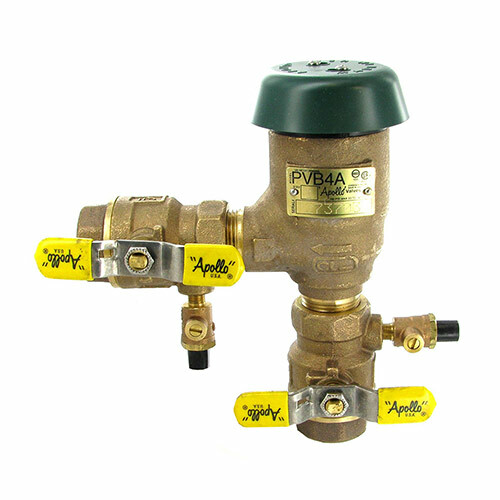 Today, reliable backflow preventers are now installed in residential, commercial, and industrial plumbing systems. Without them, the water that comes out of your faucets and showers would not be safe for washing and bathing, let alone drinking. Backflow preventer installation and backflow testing is necessary for even the simplest plumbing system and is especially key in complex systems with multiple points where cross-contamination can occur. Backflow preventers block flows with pressure-reduction, double-check valves, vacuum breakers, and specialty seals and hoses. Simply put, it only allows water to flow one way, preventing contaminated water from backing up into your system. If you have an irrigation system or well, you should also have a backflow preventer installed as both of these systems come with the risk of contamination. Have You Scheduled Your Backflow Preventer Testing? To ensure your backflow preventer is keeping your drinking water safe, get it tested by the certified professionals at Rochester Plumbing & Heating. We provide complete backflow preventer care, including emergency repairs, annual testing, preventative maintenance, replacements, and complete installation for residential, commercial, and industrial properties. Keep your system running smoothly with effective backflow prevention and schedule your appointment with Rochester Plumbing & Heating today, or contact us at (507) 289-1613 for a FREE estimate or to learn more about services for your backflow preventer in Rochester, MN.